Oklahoma Connection | Weitzenhoffer was born in Oklahoma City, Oklahoma. Max Weitzenhoffer co-produced The Will Rogers Follies, which won six Tony Awards including Best Musical, and was originally choreographed and directed by Tommy Tune. Oklahoma native Max Weitzenhoffer graduated from the University of Oklahoma School of Drama (1962) and was company manager of the Lo Jolla, California Playhouse (1963-1964) before serving as director of the David B. Findlay Gallery in New York City (1965-1969). In 1969 he became a founder and the president of New York’s Gimpel & Weitzenhoffer Ltd. and has become a world-renowned producer, highly regarded in both New York City and London. He has received two Tony Awards, one for Dracula (1978) and the other for The Will Rogers Follies (1991), a Drama Critics Circle Award for The Road to Mecca (1988), London’s Olivier Award for Defending the Caveman (2000), and London’s Evening Standard Award for Feelgood (2001). 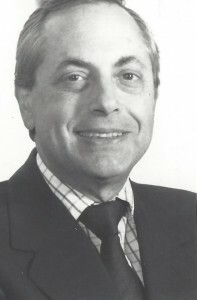 In the 1990s Mr. Weitzenhoffer returned to OU to create a musical theater program and introduce the show Jack, a musical about John F. Kennedy. In 2005 his family’s home was recreated for a multi-million dollar exhibit in the Mary and Howard Lester Wing of OU’s Fred Jones Jr. Museum of Art, and in 2006 he was named one of six Living Treasures of Oklahoma.